In 1776, soon after the beginning of the American Revolutionary War, the leaders of the war got together to write a letter to the King of England. They wanted to explain why they were fighting to be their own country, independent of England. The reason they were splitting off was because they believed that all men are created equal, that all men have some rights given to them by God, and that among these rights are life, liberty, and the pursuit of happiness. 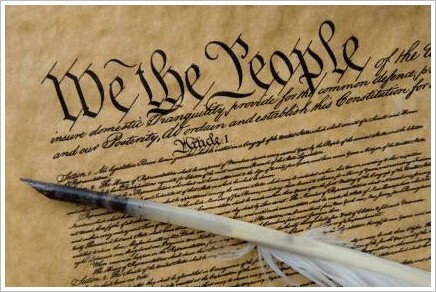 The Constitution is a document written by a group of men in 1787. The Constitution is the highest law in the United States. All other laws come from the Constitution in some way. The Constitution also provides the framework for the government of the United States. It creates things like the Presidency, the Congress, and the Supreme Court. Each state has its own constitution that is the highest law for the state — but even then, the United States Constitution is higher. Over time, some things have been added to the Constitution. Called "amendments," these add-ons list some of the rights of the people. By listing these rights, they are made special, and it is illegal for the government to violate those rights. As of 2006, there are 27 amendments to the Constitution. Not all of them involve rights, but many do. The first ten amendments, in particular, have the special name of the Bill of Rights. The American Revolution, also known as the Revolutionary War, began in 1775. British soldiers and American patriots started the war with battles at Lexington and Concord, Massachusetts. Colonists in America wanted independence from England. The British government attempted to pass some laws, enforce several taxes, and increase more control over the colonies. The colonies strongly objected to these laws and taxes. They wanted England to have no control over them. For ten years before the war actually started, there was a lot of tension between England and the colonies.The colonies had no central government at the beginning of the war, so delegates from all the colonies were sent to form the first Continental Congress. George Washington, a former military officer and wealthy Virginian, was appointed Commander in Chief of the Continental Army.Members of the Continental Congress wrote a letter to King George of England outlining their complaints and declaring their independence from England. 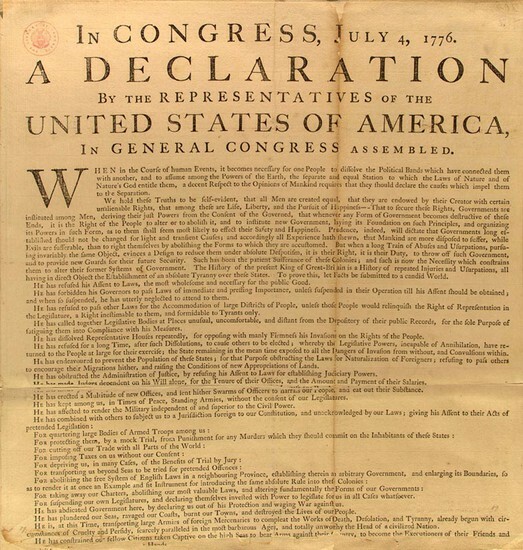 On July 4, 1776, the Continental Congress adopted the Declaration of Independence, in which the colonies declared their independence from England.The war ended in 1783, and the United States of America was born. 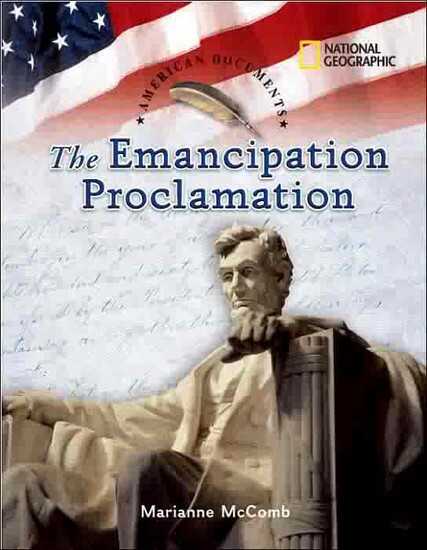 Lincoln issued the proclamation Jan. 1, 1863. It was a technical document, granting freedom to all slaves in all areas of the Confederacy still in rebellion. The proclamation did not pertain to slaves in the border states, but it did allow for the popular use of African-Americans in the Union Army and Navy. The proclamation also made the war a crusade against slavery, meaning that England and France, both morally opposed to slavery, could not in good conscience ally themselves with the Confederacy.